Who should be the new Club Captain and Allegri, the new Boss? Arsenal FC’s new Club Captain? So the BFG is moving even further away from the playing side at the Club leaving a situations vacant for Club Captain. Does anyone leap out at you as his obvious replacement? Does the position mean much anymore? Do we need a leader on the pitch? Massimiliano Allegri – the next Arsenal manager? Allegri featured for a variety of Italian clubs during his playing career as a creative, inventive midfielder. Promotion and a couple of decent seasons in Serie A with Pescara perhaps the highlight. The lowlight of Allegri’s time as a pro footballer was a one year ban in 2001 for match-fixing. Allegri’s managerial career is a different kettle of fish entirely. Having served his apprenticeship in the lower leagues, he first hit the top flight with Cagliari in 2008. The Sardinians finished a creditable 9th, not far from UEFA League qualification and played with such flair with extremely limited resorces that Allegri was awarded the Panchina D’Oro (golden bench), the Italian version of Manager of the season, ahead of Serie A winning coach Mourinho (I’m liking this chap already). Milan liked the look of this nuovo arrivato, signed him up in 2010 and he led them to the Serie A title in his first season. 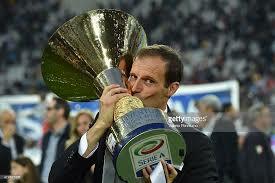 When switching to Juve in 2014, he again won the top flight title in his first season, though it was to be the Old Lady’s 4th title on the bounce (the previous three while managed by Antonio Conte). The following seasons at Juventus were littered with Serie A titles and Coppa Italia victories plus two Champions League Finals (losing to Barca and Real). He seems a fine choice as Arsene’s successor, being strong on tactics but liking fluid formations and attacking pressing football. His daughter is quite attractive too. This entry was posted on Friday, May 11th, 2018 at 8:50 am and is filed under Uncategorized. You can follow any responses to this entry through the RSS 2.0 feed. You can leave a response, or trackback from your own site. 59 Responses to Who should be the new Club Captain and Allegri, the new Boss? Excellent work Chas. I was immediately drawn to the picture at the bottom and had to comment before reading the whole post. Like many on here there has been a void in my Arsenal life since the departure of Sagna’s wife. Allegri’s daughter looks to be the one to fill that void, so I can say here and now that you have sold me on Allegri Chas. Will go and read the post now and see if there are any other less significant reasons why he should be manager. Captain? We are lacking a team personality. TA was the heart nad soul of the team, so was PV and, had he stayed, Fabregas would have continued to captain being the style setter of the team. TA’s Arsenal was rock hard, never gave up and committed to clean sheets. PV’s team was also neversaydie but it was also elegant and attack minded. CF’s was a short accurate passing team but like the man not the best in the trenches. Since then …. 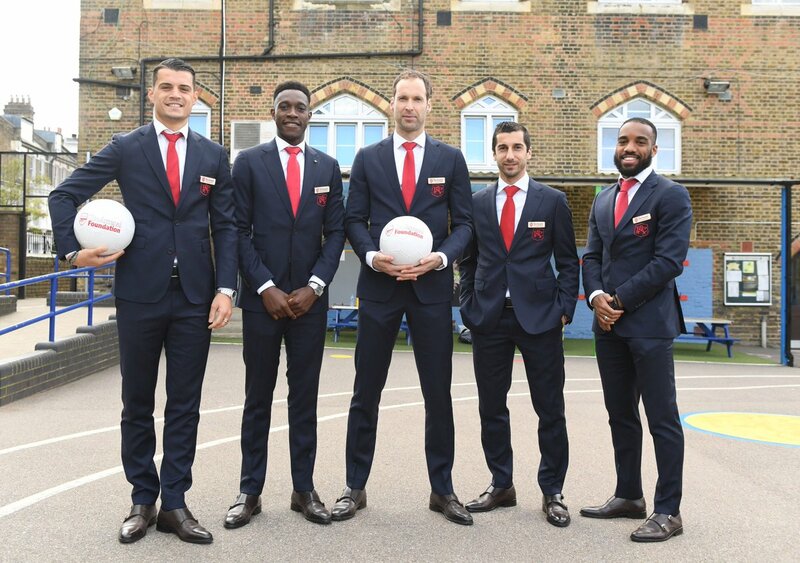 Granit even looks like a captain! Chas, on the captain side of things I think we have to recognise that, despite the great AW era in most other ways, the concept in our recent years of not needing one dominant playing figure of a certain character as a captain was flawed. This idea of having many captains hasn’t proven to be a model that works and if you look at the most successful sides in recent seasons they all seem to have that one dominant vociferous character that will galvanise and / or rollick their team-mates, and that the rest of the team will listen to out of respect or just because they dare not ignore them. It is also flawed to have a captain that is not 100% committed to the club in the longer term, (i.e no issues on contracts and uncertainty on whether they are staying with or leaving the club), and it also seems flawed to have a captain that is largely a non playing one. It will have to be someone that the new manager values and, injuries aside, sees as one of the first on the team sheet. Jack is the only one that comes close in character, who has that edge to him and will lead by example on the pitch, and never gives up the fight. He also isn’t afraid to speak his mind to his team-mates and tell them to up their game without completely going to town on them and alienating them. Jack is not on my to sell list and I actually think he would be one of the crucial players in what I feel is our best formation, something very similar to what we saw on Sunday, but those factors are for the new man to decide. Not Granit yet Chas. Maybe in the future, but for me he has been a large part of our problems this season in a regularly confused and disjointed midfield of who does what job. He has lacked the tools or discipline for the deeper lying holding midfield role on too many occasions, and we have come undone in more than a few games because of this. He has looked more disciplined and suited to the role recently, but still needs to prove himself there on a more consistent basis for me before looking at him as a guaranteed 1st team player in that position. Jack with his coming through the ranks is as close as we get to a new Mr Arsenal, and he has the character and genuinely feels the club. Providing he signs a new deal the only question marks would be whether the new man sees him as a critical player and whether he can remain injury free. Do we want a manager who was suspended for a year for match-fixing as a player? What happens to our principals then? The only player who sticks out to me as captain is Jack. He seems to me to be the genuine successor to Santi and is always trying. Don’t much like the captain ‘picks’ — many of them will be shown the door, either because of age, or chronic injuries. — so that pretty much leaves Rambo, altho he seems to want to try his luck elsewhere, according to :reliable: rumours. Blimey, a reasonable length comment from GB that I wholeheartedly agree with. The opener that is, the others lost me. How on earth did Wilshere and Xhaka get any votes, not only should Ozil be captain he should have a throne on the half way line. This is long but it’s well worth reading. I won’t lie to you, I cried last Sunday – twice. I knew I was going to. The first came as our manager of 22 years was applauded onto the pitch pre-match through a guard of honour in the bright May afternoon sunshine (my sunglasses luckily masked this, and I might have muttered something about hay fever). By the second time though, the tears were proud, wistful and 60,000 strong. It was like we’d all watched the end of The Shawshank Redemption en masse. For once, nobody left early to beat the notorious traffic, and the attendance announcement didn’t lie. The place was packed and nobody was going anywhere fast. Arsene Wenger, in turn, graciously strode out to the centre circle, arms aloft, to give and receive the thanks and respect he has deserved for so long, but has at times (at least in the case of the latter) been cruelly lacking. After a 5-0 walloping of our ‘nearest rivals’ Burnley – a relatively unimportant but emotionally crucial win – for one final time he was embraced like the departing semi-conquering hero he is. For someone who has been an Arsenal fan since the age of five, it’s odd that in many ways the only manager I’ve ever really known is Wenger. I’ve been an Arsenal fan since 1978, when I watched the team I have come to love go down to an inspired Ipswich Town 1-0 in the FA Cup final. With both parents moving over from Ireland, and having little if any allegiance to any team or area, I pretty much had my pick. At the time, most kids where I grew up supported Ipswich, who were enjoying an incredible period – but I chose the Gunners. First, I thought they were the underdogs. I wasn’t a bright child and, more importantly, Arsenal were a big London Irish team – both on and off the pitch – so they suited my upbringing and identity perfectly. But spending every second weekend in London didn’t mean I got to see them regularly. My family were born and bred in the sports of GAA, so growing up I was more likely to be watching my dad hurling on the fields that will be forever Ireland of Ruislip and new Eltham. My grandad wouldn’t even let me watch ‘English’ sports, including, oddly, athletics! By the time I could scrounge tickets to see Arsenal, it was the late George Graham/early (I don’t think there was another era) Bruce Rioch period. I went along happily, and by that I mean I was happy to be there. 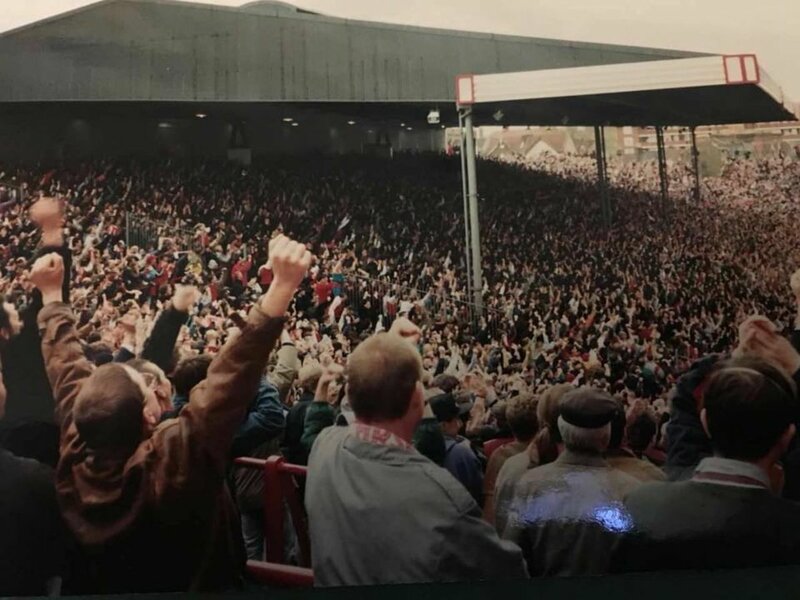 Highbury was such a glorious ground to watch football, and to rub my eyes and watch Dennis Bergkamp and Ian Wright in their pomp quickly became more than a novelty. It was love. But to all intents and purposes, I’ve only really ever known Wenger as our manager. Which is, I guess, why the love, respect and admiration runs so deep. So much is made of the ‘Arsene who?’ reaction that, in truth, we ALL had when he turned up at the club in 1996. But he did so much more than just make sure Wright and Paul Merson put down the Mars bars and started eating broccoli (the pair of them treating the vegetable like Wenger had brought it from outer space). He took a very gifted, but aging, team and added a belief, drive and deft hand in recruitment that saw a still big club win three titles quickly, including two Doubles and our Invincibles year. It seemed the success would be never ending. We got drunk on it – and then the world changed. As the era of English football went from the time of the honest pro to the world of the remote, media-trained, PR-controlled global superstar, young, understandably ambitious men had their heads turned while ruthless agents plundered. Maybe with the stadium move his hands were tied, maybe he didn’t react quickly enough, maybe he thought he could carry on and find the gold for £500,000 here, £3m there. Whatever happened, the magic stopped working and we started watching the same movie year after year. There were a few great players, but a fragility had set in and somehow didn’t go away: an early-season flourish was followed by a late winter slump that saw us crash out of the FA Cup and the Champions League, and then there was the desperate dash to finish fourth. Although a recent respectable run of three cups in five years is nothing to be sniffed at, we all know we haven’t been competitive enough in the league for quite some time. The problem is that with the immediacy and ‘Fifa-isation’ (that’s a real term, by the way) of the modern football fan, there is no room for barren periods any more. We now live in a world of extremes. Players and managers are either awful or they are brilliant. Fans expect unconditional loyalty one way, but feel well within their rights to boo – and a lot worse – to high heaven when it’s not going our way. There’s a lot made of the game moving on and him being left behind. If that is true (and I’m not sure for the most part it is) then it’s been in one main area: money. Wenger has always seemed like he has seen himself as a steward to this club, part of its DNA. Now we are as much the club he has built as vice versa – but if he has been left behind it’s by the perverse amount of money swimming around the game today. I read a great comparison once which likened him to a German in the Weimar Republic who ordered a steak in a restaurant and nipped to the toilet, only to find on his return that the price had gone up 30,000 Reichsmarks. He simply didn’t seem to respond to the economics of the modern game. He seemed aghast by the prices – and who wouldn’t be? The problem is that the money is there and if you don’t compete then someone else will – and they have. Yes, some of those models have been artificially created and bolstered by Russian and Middle Eastern oil money and nobody questions that Wenger knows more about football than most fans (by his own admission, it’s all he does and is probably watching a Congolese second division match as we speak), which makes a lack of spending even more infuriating when it was obvious what we were lacking on the pitch. The Wenger model of how to manage footballers is all about empowerment – the carrot and not the stick. Let the players go out there and express themselves to the best of their ability and that holistic and artisanal approach will win out. However, this model is predicated on those players being up to the task in the first place. Virtually every one of those Invincibles comes across like a well-rounded, emotionally grounded and intelligent human being. Those kinds of footballers are the exception not the rule, which makes Wenger’s mode of success so hard to maintain. It was probably the right time for Wenger to go. Actually, that’s not true. The day which would have done his incredible legacy justice would have been 27 May 2017 when we upset the odds and defeated Chelsea, both physically and tactically, and he won a record seventh FA Cup and the club’s 13th. I have no problem with people who said we needed a change, because we did. There’s no hypocrisy in praising the man while also wanting a new direction, and as sad as I am to see a proud, stalwart of the game go, I am also excited to see what comes next. So, now the grass has settled in N5 – sadly without the Europa League finale in Lyon – his swansong heads off for a final, slightly anticlimactic roadshow at Huddersfield, a club that have always had a strong historical connection to Arsenal’s other great manager, Herbert Chapman. I feel sadness. I am a romantic and the idea of a manager being with a club for 22 years appealed to the sense of tradition I love and fast see disappearing in the modern game. But my overall emotion is simply of pride at a manager who has changed a club beyond all recognition, but still retained their tradition and values. Has Wenger been perfect? No. But he has done nothing but devote a large chunk of his working life to make the club now so imbued with his DNA a success. Thank you Chas, I’ve not been around today to make any comments but I found the above comment is a close match to my own feelings. As we all move on to a brave new era, Arsenal FanTV have a meeting to grapple with the question, what has Arsene ever done for us? – Huddersfield Town will give Arsenal manager Arsene Wenger a guard of honour as the Frenchman leaves the Gunners after 22 years at the helm. Town take on the Gunners in their final Premier League match of the season on Sunday having clinched a second campaign in the top flight with the 1-1 draw at Chelsea on Wednesday. And the Terriers’ head coach David Wagner believes this will allow the hosts to give Wenger “all the honour and attention he deserves” at the John Smith’s Stadium this weekend. Chapman had laid out a five-year plan for success in 1925, and it came to fruition exactly on schedule, as his Arsenal won their first major trophy in the 1930 FA Cup Final, beating his old side, Huddersfield Town, 2–0. Despite having only finished 14th in the League the same season, the win spurred Arsenal on and laid the foundations for a decade in which Arsenal would become the dominant team in England and eventually win five league titles. Thank you for that post. As you said, I am inclined to agree with that sentiment. New coach, Allegri will not cut it. Would rather have Viera, Arteta or some other hungry new coach to move the club forward-not sideways nor in a downward death spiral. That cuts out most of the above coaches, and the garbage based odds. 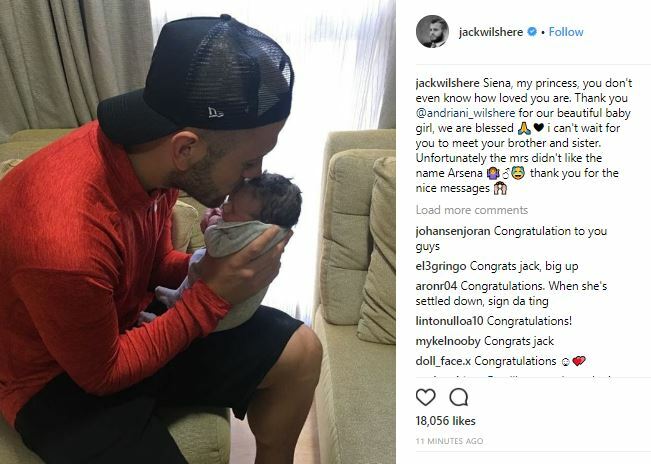 Interesting how Xhaka’s form has improved to the extent that he beat new dad Jack to second place. Sorted something out for the weekend? So this is what Chary is up to these days. May I take issue with you Eddie? Neither Iwobi nor Welbeck should or will be sold. Iwobi is getting better every season. He is still a baby and barring injury will become an Arsenal stalwart. What he is lacking is calm under pressure and that will come with experience. Welbeck has a lovely smile. What a brilliant job Chary has. The Dermot O’Leary piece describes exactly my feelings. I used to sit next to Dermot in the Clock End – this was before he became a major TV star and unable to watch without people harassing him. Dermot was forced to go into the Executive boxes but assured all around him that it was a decision he hated. Top bloke and proper Gooner. The next captain is not currently in this side. So i’d vote for none of the above. Jack certainly has fire but it’s not the leadership kind. Having pimped Allegri for the post over a year ago i’d still be delighted to have him as boss. His record is solid and we could do worse. Can he provide the necessary change of culture the team needs? Is he the best one to manage that change?? That said there’s a new player these days and given kroenke’s success in american football with a coach who is younger than half his team i wouldn’t be surprised to see them go with someone younger, someone this new player might feel better about. Good point about the Rams coach Wally. Not sure it will have any bearing but it made me think. I realise that posts are needed and the idea of Allegri arriving is tantalising but is it only me who asks why on earth would he want to come to Arsenal or am I missing something obvious? The Chary thing is funny, I remember when you barked at him Chas and he never came back, I also remember thinking that you were right at the time. I don’t remember barking at Chary or ever being right about anything. OK the above was an error copy paste. actually , how can you delete your own comment. In hindsight, I say some shite especially half asleep at 5am so it would be good to be able to delete later on. Aubameyang has just finished fifth in the Bundesliga top goalscorer rankings, just two goals off joint second. He hasn’t played since January. Ok, let me get me bearings. Who am I etc? Today I think Pool will win and take the last CL spot. chavs will compete with us for a manager. Oh yeah, pool loses in the CL finals.